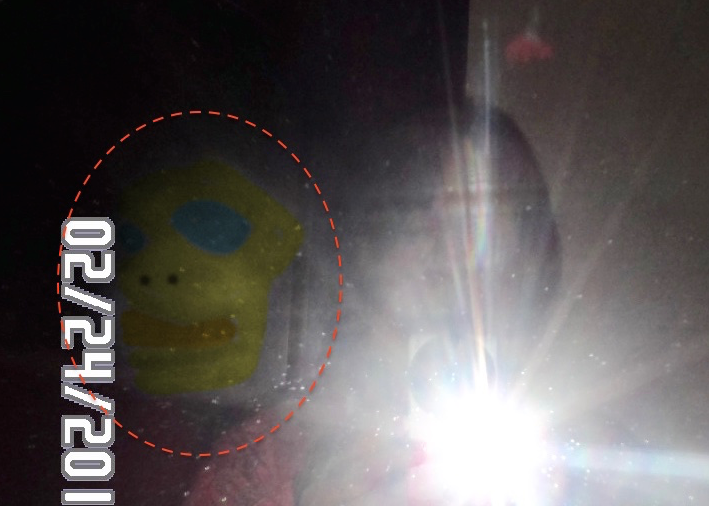 UFO SIGHTINGS DAILY: Woman Catches Mysterious Face In Mirror In Arizona, Feb 24, 2016, Photos, UFO Sighting News. Woman Catches Mysterious Face In Mirror In Arizona, Feb 24, 2016, Photos, UFO Sighting News. Above are two photos, natural and one I colored to show the face to make it easier to see. This is hot from MUFON site. This woman in Arizona took her own photo in the mirror, but when the flash went off, it caught the face of something looking over her shoulder. Its just 12 miles from the location of the Phoenix Lights UFO event. This is probably a alien in an underground base, watching her, trying to study her. Now, although this could be a ghost, I do think its probably an alien that is using a metal power to watch this woman, and which can often manipulate (by accident) weaker things like smoke, steam, clouds, dust. Very unique catch. Also this woman felt it...that also is a sign of an alien presence in the room. You can feel some aliens attitude at the moment if they are 5-10 meters away. 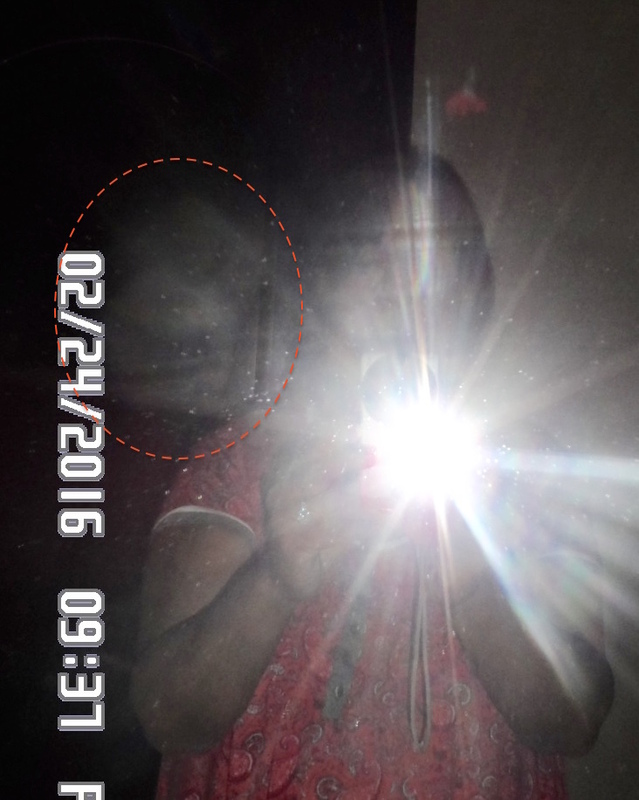 When I take pictures, faces of spirits are attracted to my body. This is an occurrance that I started to notice in November 2016. It has intensified and more recently my face has started to transform to what appears to me alien like features. You will see just orbs with one horizontal line running through it in the first photo. 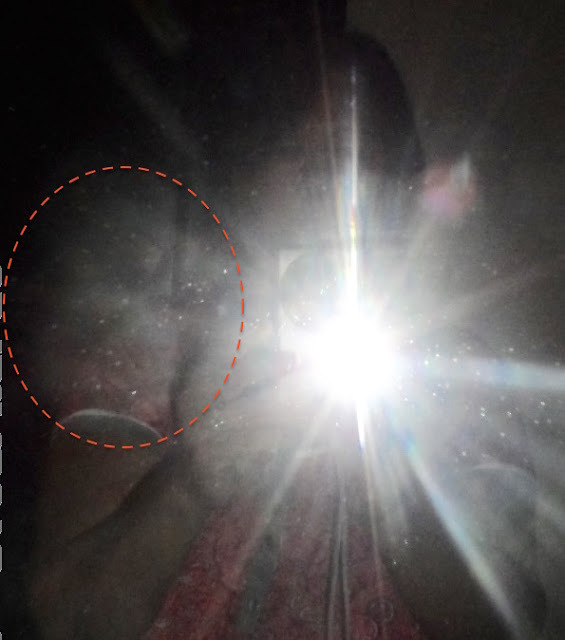 Pay close attention to the photos because my faces transform to resemble the orbs in the following two photos. In the last photo my face also transformed to an alien looking being unlike the one with the line running through it. This photo was taken at a different time and date than the first three photos. Below I colored the face in to see it easier.